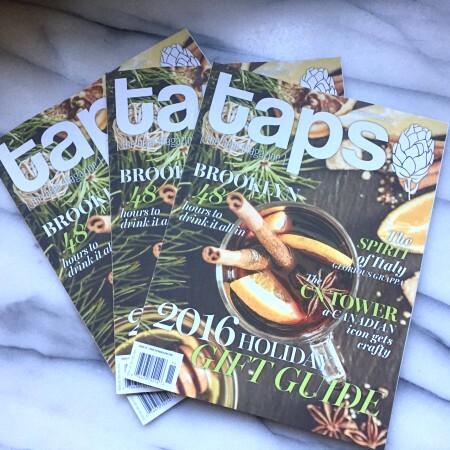 Articles in this last paper issue include a looks at the growth of the craft brewing industry in rural and small-town areas of Atlantic Canada and Ontario; a profile of Alberta’s Eau Claire Distillery; a diary of a beer-filled weekend in Brooklyn; a holiday gift guide; and much more. In her Editor’s Letter, editor-in-chief Karla Dudley indicates that the digital-only version of TAPS will launch in January 2017, and will feature similar content to the paper edition, but published on a more frequent basis rather than in a bi-monthly package. For more details, visit the TAPS Magazinewebsite.